Thanks to everyone that came out to the SF Web Performance meet up last night! For those of you that missed it, JP and Aaron were kind enough to record the entire event on Ustream. Big thanks to JP and Aaron for setting it up and running the event so well! 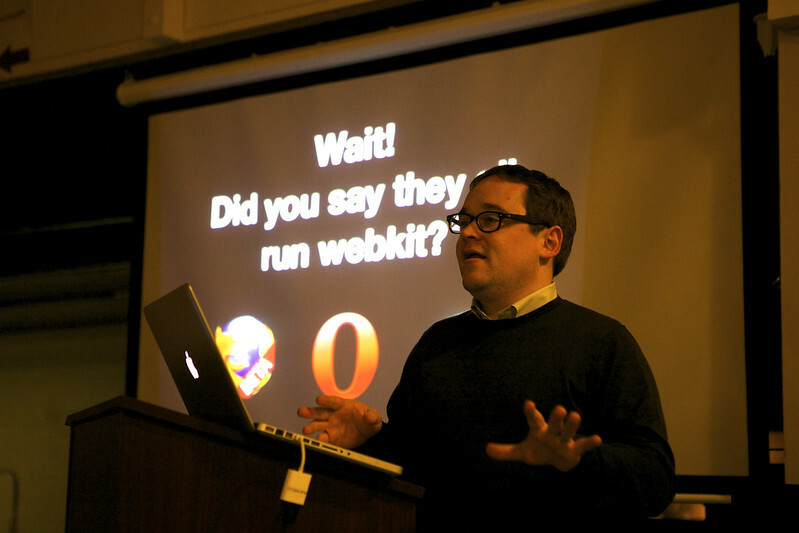 Join the Flickr Frontend team tonight at the SF Web Performance meet up! Exif, exchangeable image file format, describes various sets of metadata stored in a photo. Really interesting metadata, like image titles, descriptions, lens focal lengths, camera types, image orientation, even GPS data! I’ll go over the methods to extracting this data on the front-end, in real-time, using web workers. Flickr’s latest Web-based Uploadr interface uses HTML5 APIs to push bytes en masse. Its real power, however, is the UI which enables users to add and edit the metadata of hundreds of photos while they are uploading in the background. Handling the selection, display and management of large numbers of photos in a browser UI meant that the Uploadr project needed to be designed for scalability from the ground up. This talk will go into some of the details of the Uploadr “Grid” UI, technical notes and performance findings made during its development.